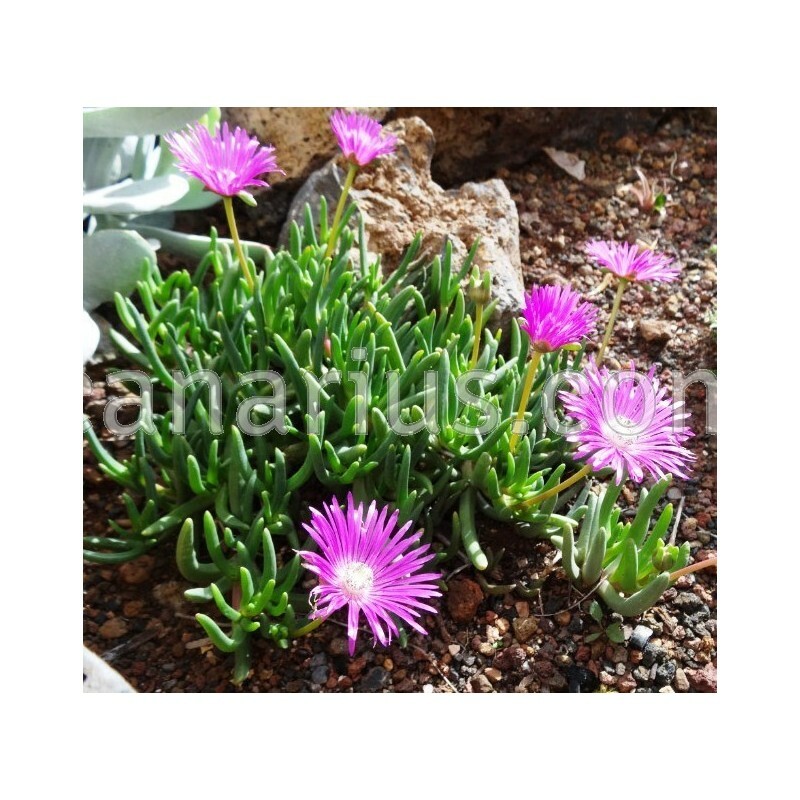 Pink flowered form of an easy, creeping species, often used as a ground cover. Beautiful glaucous leaves, triangular in section. Abundant bright flowers in winter, mauve-pink to blood-red. 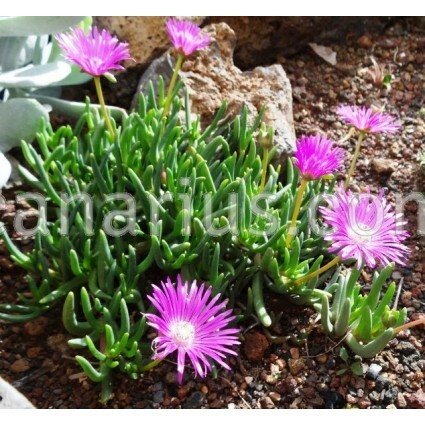 It is used as a ground cover in frost free areas, in slopes or rockeries. It grows wild in the Ceres Karoo, in a winter rainfall area of South Africa. Protect from heavy frost .